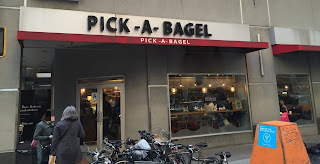 Pick A Bagel is a bagel shop chain, and we live almost in front of them. However, when I looked inside of the shop, it's always crowded and I didn't go in before. The other day, I finally paid a visit when it's not that busy. There're many kinds of cream cheese and fillings. I got a blueberry bagel with strawberry cream cheese. I like not toasted bagels so I asked not to toast it. 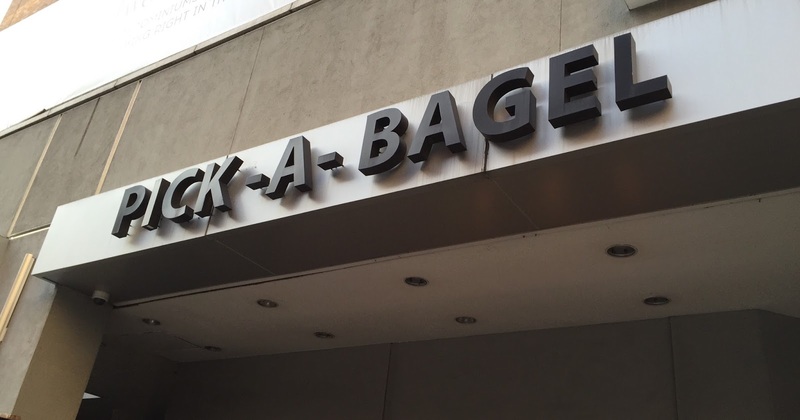 The bagel was large and tall. 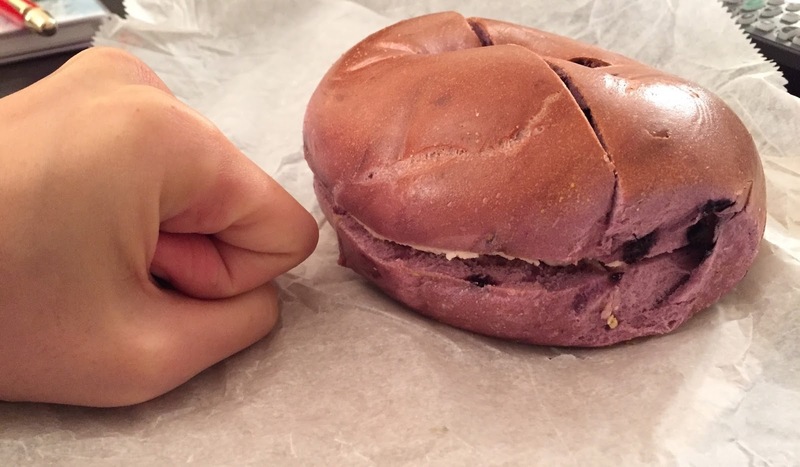 The inside of the bagel was purple and there're blueberries. The cream cheese was pale pink, but when it's put this purple bagel, it looked like plain cream cheese. The bagel was chewy and had nice firmness. 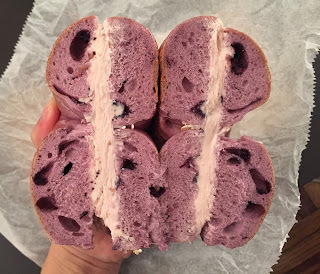 The blueberry bagel was fruity and sweet, and it went very well with sweet and sour strawberry cream cheese. As I got it non-toasted, the cream cheese was thick and rich.